Discover Morocco and the south of Spain – two contrasting countries that share a rich history – on a 12-day tour from Madrid with a 3 or 4-star hotel accommodation included! While traveling with an expert guide, explore the Andalucian region in Spain’s deep south, staying in Seville, the Costa del Sol and Granada. 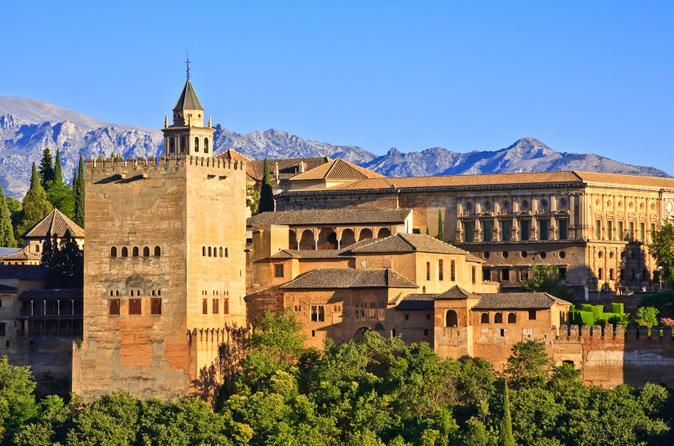 Learn about Andalucia’s 15th-century Moroccan rulers on excursions to Cordoba and Ronda, and then cross the Strait of Gibraltar to Morocco itself. Stay in top cities like Fez, Marrakech, Rabat and Tangier, and learn all about the enchanting country from a guide. The southern Spanish region of Al-Andalus – or Andalucia, as it’s now known – was once ruled by the Moors and Berbers of Morocco, who created an Arabic kingdom and culture that is still prevalent today. Visit Andalucia’s old Moorish cities such as Seville, Cordoba, Ronda and Granada as well as the Costa del Sol region, and then compare their sights with Moroccan cities like Fez, Marrakech, Casablanca, Rabat, Tangier and more! Enjoy a combination of tours and free time to see the historical cities at your own pace. Your hotels are centrally located for maximum convenience.